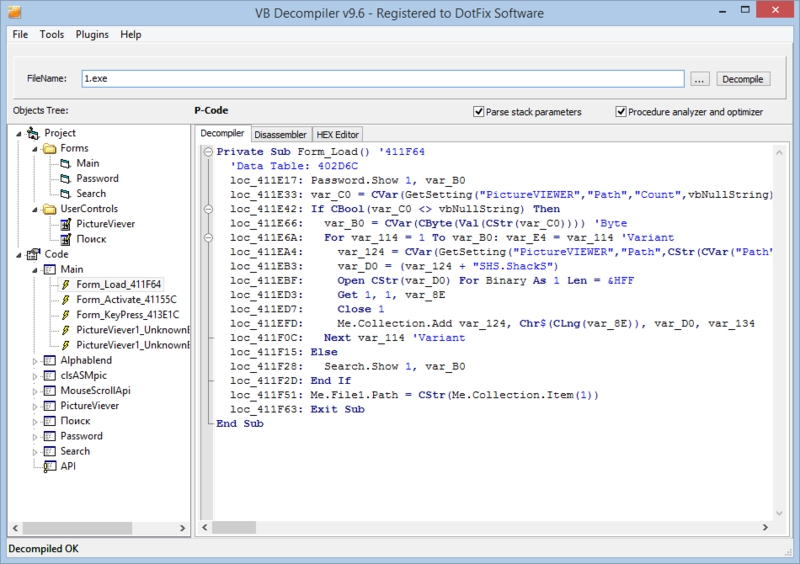 A simple disassembler for exe com and dll files. Just run it and hit F1 for crude instructions. ASCII strings, data words, etc. and displays your changes immediately. files. These .CTL, .SMB, and .REM files can be changed with an ASCII editor. for now you must use 'R' to change segments above 64K. Some disassemblies will assemble correctly with no changes at all. headers and segments manually; see enclosed .EXE stuff. Use it when DASM won't work and ASMGEN is too cumbersome. the instructions will start at the wrong locations. RE-SOURCE generates SEGMENT AT and EQU $ lines when you W(rite) the .RSM file. to write code that will NEVER run through someone else's MASM). Run RE-SOURC [d:][\path\][filename] or just RE-SOURC and use the L command. and also the .REM, .SMB and .CTL files. It ignores any .extension. file as the target program. your ABC.CTL, ABC.SMB and ABC.REM files. You have downloaded CLOSEBUT.COM, which is almost what you were looking for. source code. You have hours to kill, and you know assembly language. see the ominous 'BORLAND' trademark (disassembling Pascal is very difficult). say, 8K long for your first try. mostly PUSH AX, CALL 0123h:4567h, give up, it's QuickBasic. code, so you enter just A to 'Attempt to Find DBs' for the whole program. switch back to Instructions, and now UBCD shows them. You hit F9 to save your work. like H00123 for the jumps, calls, and data areas. You quickly hit F9. The major work is deciding whether each operand word is data or an address. every occurance of H00567. You hit F9 again. drooping, you are ready to try to re-assemble the program. You hit F9. have changed something since you last hit F9. Hit U unless you made a boo-boo. You gulp 2 cups of black coffee and copy CLOSEBUT.RSM as C.ASM. IS no label at 0789, but an instruction at 0787 extends past 0789. COMPares correctly with the original. You can now make changes as you like. a prefix for protected mode and extended '386 instructions. but old code may use it. requires the correct FWORD PTR (that means 6 words !). RE-SOURCE generates FWORD, you'll have to change it for 5.0. IMUL mem,reg,immed (must be reg,reg,immed). Write a slick mouse/menu interface ? Do the 80x87 Fxxxx instructions ? If you improve RE-SOURCE, please send us the .ASM code.